Located about 35 miles North of Charlotte, Troutman encapsulates the spirit of a small, charming town. Home to over 2,500 residents, Troutman holds a youthful vitality and offers fun outdoor activities (Zootastic Park) and lively entertainment to residents and visitors alike. 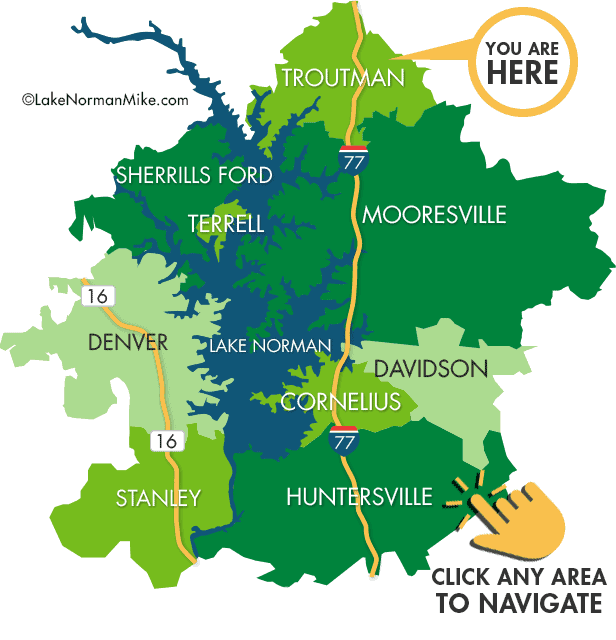 One of Troutman’s most famous attractions is the Lake Norman State Park. For those who don’t live on the water, this is the ideal place to get the full lake experience. There’s fishing and boating, plus hiking, bike trails, campgrounds and picnic areas. #Population in 2013: 2,467 (90% urban, 10% rural).